The Summit Creative Awards is the leading international awards program. Since 1994, the Summit Creative Award has recognized creative firms and helped them stand out in the crowd. This international advertising competition offers participants a unique opportunity to showcase their talents alongside similarly positioned agencies, and to have their work judged by experts in the advertising field. Our exclusive award-selection process means winners have earned the right to broadcast their achievements far and wide. The Summit Creative Awards are proud to present the Nebraska State Website with a Bronze Award in the category of government websites. The Summit Creative Awards is the leading international awards program. Since 1994, the Summit Creative Award has recognized creative firms and helped them stand out in the crowd. This international advertising competition offers participants a unique opportunity to showcase their talents alongside similarly positioned agencies, and to have their work judged by experts in the advertising field. Our exclusive award-selection process means winners have earned the right to broadcast their achievements far and wide. The Summit Creative Awards are proud to present the Nebraska Department of Natural Resources with a Silver Award in the category of government websites. Graphic Design USA is honored to present an American Web Design Award to the Nebraska Department of Motor Vehicles for graphic and interactive design for government websites. The Communicator Awards is the leading international awards program recognizing big ideas in marketing and communications. Founded over two decades ago, it receives over 6,000 entries from companies and agencies of all sizes, making it one of the largest awards of its kind in the world. The Nebraska Protect the Good Life website has been honored to receive the 2018 Communicator Award of Excellence in the category of Social Responsibility for Websites. The Communicator Awards is the leading international awards program recognizing big ideas in marketing and communications. Founded over two decades ago, it receives over 6,000 entries from companies and agencies of all sizes, making it one of the largest awards of its kind in the world. The Nebraska Department of Motor Vehicles website has been honored to receive the 2018 Communicator Award of Excellence in the category of Government Websites. The Communicator Awards is the leading international awards program recognizing big ideas in marketing and communications. Founded over two decades ago, it receives over 6,000 entries from companies and agencies of all sizes, making it one of the largest awards of its kind in the world. The Nebraska.gov website has been honored to receive the 2018 Communicator Award of Excellence in the category of Government Websites. The Communicator Awards is the leading international awards program recognizing big ideas in marketing and communications. Founded over two decades ago, it receives over 6,000 entries from companies and agencies of all sizes, making it one of the largest awards of its kind in the world. Nebraska.gov, website has been honored to receive the 2018 Communicator Awards of Distinction in the category of Government Websites. The Communicator Awards is the leading international awards program recognizing big ideas in marketing and communications. Founded over two decades ago, it receives over 6,000 entries from companies and agencies of all sizes, making it one of the largest awards of its kind in the world. The Nebraska Department of Motor Vehicles has been honored to receive the 2018 Communicator Awards of Distinction in the category of Government Websites. The Communicator Awards is the leading international awards program recognizing big ideas in marketing and communications. Founded over two decades ago, it receives over 6,000 entries from companies and agencies of all sizes, making it one of the largest awards of its kind in the world. The Nebraska Department of Natural Resources has been honored to receive the 2018 Communicator Awards of Distinction in the category of Social Responsibility for Websites. 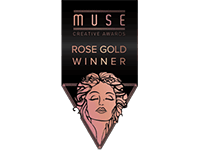 Out of more than 2,000 submissions from 40 countries the Muse Creative Awards is proud to present the Rose Gold Award in the Category of Government Agency Websites to the Nebraska Department of Natural Resources. The Muse Creative Awards is an international competition for creative professionals who inspire through concept, writing or design, whether through traditional or electronic media. Muse Creative Awards is administered and judged by International Awards Associates (IAA), and an elite panel of internationally-recognized creative professionals. IAA oversees awards and recognition programs, provides judges and sets the competition’s rigorous standards. The Horizon Interactive Awards is proud to present the Gold Winner for Government Websites to Nebraska.gov. The Horizon Interactive Awards recognizes, promotes and awards the best web sites, videos, online advertising, print media and mobile applications. The Horizon Interactive Awards is proud to present the Silver Award in Category of Government Agency Websites to the Nebraska Department of Natural Resources. The Horizon Interactive Awards recognizes, promotes and awards the best web sites, videos, online advertising, print media and mobile applications. The Horizon Interactive Awards is proud to present the Silver Award in the category of Government Agency to the Nebraska Department of Motor Vehicles. The Horizon Interactive Awards recognizes, promotes and awards the best web sites, videos, online advertising, print media and mobile applications. The StateScoop 50 Award is proud to present the Nebraska State Patrol Conceal Handgun Permit Renewal/Replacement Permits application the IT Innovation of the Year award. StateScoop 50 recognizes programs and individuals for their achievements and contributions to the state and local government IT community. The Web Marketing Association (WMA) was founded in 1997 to help set a high standard for Internet marketing and development of the best websites on the World Wide Web. Staffed by volunteers, this organization is made up of Internet marketing, online advertising, PR, and top web site design professionals who share an interest in improving the quality of online advertising, internet marketing, and website promotion. The Nebraska Department of Motor Vehicles has been honored with an award for the Best Government Mobile Website. The Davey Awards is an international creative award focused exclusively on honoring outstanding creative work from the best small agencies worldwide. The 13th Annual Davey Awards received nearly 4,000 entries from ad agencies, interactive agencies, production firms, in-house creative professionals, graphic designers, design firms and public relations firms. The Nebraska Department of Motor Vehicles has been honored as a Gold Winner for Government Websites. The Davey Awards is an international creative award focused exclusively on honoring outstanding creative work from the best small agencies worldwide. The 13th Annual Davey Awards received nearly 4,000 entries from ad agencies, interactive agencies, production firms, in-house creative professionals, graphic designers, design firms and public relations firms. The Nebraska Department of Natural Resources has been honored as a Silver Winner for Government Websites. The Davey Awards is an international creative award focused exclusively on honoring outstanding creative work from the best small agencies worldwide. The 13th Annual Davey Awards received nearly 4,000 entries from ad agencies, interactive agencies, production firms, in-house creative professionals, graphic designers, design firms and public relations firms. Nebraska.gov has been honored as a Silver Winner for Government Websites. The Nebraska State Website is proud to accept the Government Standard of Excellence Award from the Web Marketing Association. The Web Marketing Association is the producer of the WebAward Competition. Now in its 17th year, it’s the longest running annual website award competition dedicated to naming the best Web sites in 96 industries while setting the standard of excellence for all website development. The Nebraska State Website is proud to accept a Silver Summit Creative Award in the category of Government Website. The Summit Creative Awards is a leading international award with judges come from both large and small-size companies and universities. This year's panel of international judges included professionals representing the following countries: Australia, Canada, Chile, Japan, South Africa, and the United States. The 2017 creative competition drew more than 5,000 submissions from 24 countries in 18 major categories. The Nebraska Investment Council is proud to accept a Silver Summit Creative Award in the category of Government Website. The Summit Creative Awards is a leading international award with judges come from both large and small-size companies and universities. This year's panel of international judges included professionals representing the following countries: Australia, Canada, Chile, Japan, South Africa, and the United States. The 2017 creative competition drew more than 5,000 submissions from 24 countries in 18 major categories. Nebraska.gov takes a Merit Award, as the American Marketing Association Prism Awards recognize excellence in marketing in Lincoln and the surrounding communities at the annual Association awards. The Nebraska State Website is proud to accept a 23rd Annual Communicator Distinction Award in the category of Marketing Effectiveness. The Communicator Awards is a leading international awards program recognizing big ideas in marketing and communication. The Nebraska Secretary of State – Voter Registration Portal is proud to accept a 23rd Annual Communicator Distinction Award in the category of Marketing Effectiveness. The Communicator Awards is a leading international awards program recognizing big ideas in marketing and communication. The Nebraska Appellate Court eFiling system was awarded a State Scoop Award for 2017 IT Innovation of the Year. Go to the award winning, Nebraska Appellate Court eFiling. 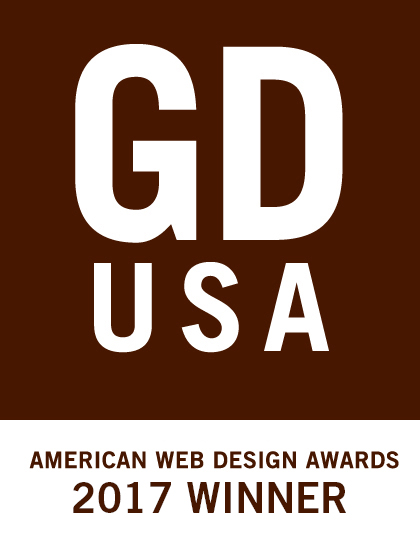 Graphic Design USA is honored to present an American Web Design Award to Nebraska.gov for graphic and interactive design for microsites & websites. The Horizon Interactive Awards is proud to present the Best in Category Award to Nebraska.gov. The Horizon Interactive Awards recognizes, promotes and awards the best web sites, videos, online advertising, print media and mobile applications. The Horizon Interactive Awards is proud to present the in the category of Advocacy/Non-Profit Category to Protect the Good Life. The Horizon Interactive Awards recognizes, promotes and awards the best web sites, videos, online advertising, print media and mobile applications. The Horizon Interactive Awards is proud to present the Bronze Award in the category of Government Agency to the Nebraska Commission for the Deaf and Hard of Hearing. The Horizon Interactive Awards recognizes, promotes and awards the best web sites, videos, online advertising, print media and mobile applications. The Horizon Interactive Awards is proud to present the Bronze Award in the category of Health and Human Services Category to the Assistive Technology Partnership. The Horizon Interactive Awards recognizes, promotes and awards the best web sites, videos, online advertising, print media and mobile applications. The Web Marketing Association is proud to present the Best in Industry 2016 Mobile WebAward to Nebraska.gov for the Best Government Mobile Website. The Mobile WebAwards honor the marketing industry's greatest mobile websites, responsive websites, and mobile apps. The Davey Awards is an international creative award focused exclusively on honoring outstanding creative work from the best small agencies worldwide. The 2016 Davey Awards received nearly 4,000 entries and honored the State of Nebraska portal, Nebraska.gov with a Silver Award in the category of Government Websites. Check out the winners at http://www.daveyawards.com/winners/winners/. The Davey Awards is an international creative award focused exclusively on honoring outstanding creative work from the best small agencies worldwide. The 2016 Davey Awards received nearly 4,000 entries and honored the Attorney General’s Consumer Affairs website, Protect the Good Life with a Silver Award in the category of Social Responsibility. Check out the winners at http://www.daveyawards.com/winners/winners/. Nebraska.gov placed 5th in the best state government websites (State Portal Category) for the 2016 Best of the Web Awards, sponsored by the Center for Digital Government. Nebraska Interactive's work in collaboration with the Nebraska Secretary of State's office on the Nebraska Online Voter Registration Application (NEreg2vote) was awarded a State Scoop Award for 2016 Innovation of the Year. Go to the award winning NEreg2vote application. Nebraska Interactive's work on veterans.nebraska.gov received a Bronze Award Winner in the Website Government Category. The Horizon Interactive Awards recognizes, promotes and awards the best web sites, videos, online advertising, print media and mobile applications. Nebraska Interactive's work on governor.nebraska.gov received a Bronze Award Winner in the Website Government Category. The Horizon Interactive Awards recognizes, promotes and awards the best web sites, videos, online advertising, print media and mobile applications. Nebraska Interactive's work on www.nebraska.gov received a Gold Award Winner in the Website Features - Home Page category. The W³ Awards honors creative excellence on the web, and recognizes the creative and marketing professionals behind award winning sites, videos and marketing programs. Nebraska Interactive's work on governor.nebraska.gov received a Silver Award Winner in the General Website - Government Category. The W³ Awards honors creative excellence on the web, and recognizes the creative and marketing professionals behind award winning sites, videos and marketing programs. The Nebraska Department of Veterans' Affairs Military and Veteran’s Registry Application was awarded a State Scoop Award for State IT Program of the Year 2015. Go to the award winning Nebraska Military and Veterans' Registry Application. Nebraska Interactive's work on www.nebraska.gov received the Silver Award of Distinction in the Government websites category. The Communicator Awards is the leading international awards program recognizing big ideas in marketing and communications. The Nebraska Department of Motor Vehicles (DMV) was awarded the Pioneer Institute Better Government Competition Runner Up award for the Handicap Parking Permit Application and Management System.